Gulf of Mexico Research Initiative Investigating the effect of oil spills on the environment and public health. on the environment and public health. Summer fun check list: 1. enjoy the sun, sand, and surf along the beautiful Gulf of Mexico; 2. track ocean currents; and 3. win a prize. Track ocean currents? Win a prize? Yes! 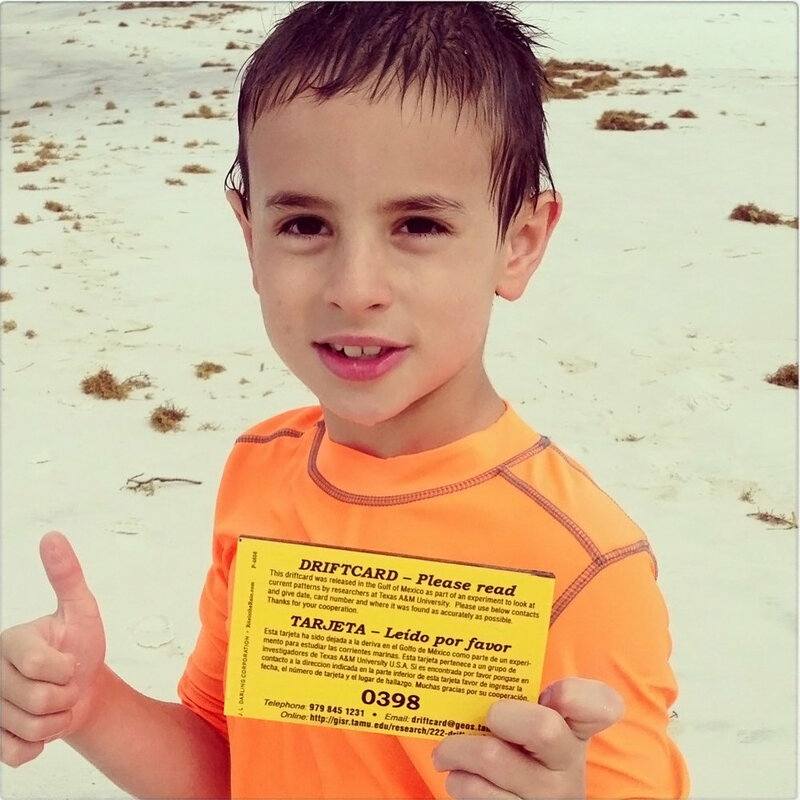 Adults and children from Florida to Texas are calling, emailing, and going online to report little yellow cards they find in the water and on the beach. The locations of these cards give scientists important information for an ongoing study to aid future oil spill response. The data are important enough to be prize-worthy and the public’s participation in science is getting regional media attention. It happened just like that for Patricia and her husband from Ohio, vacationing in Panama City Beach, FL, one of their favorite summertime spots. They spotted a bright yellow card floating on the water. After looking at it, they realized it was not trash but rather part of a scientific study to track Gulf currents. They followed the instructions on the card to report its location and they won the first $25 gift card. Scientists took great care in manufacturer specifications to make the drift cards environmentally friendly, not adding to ocean trash or toxins. Manufacturers used biodegradable mahogany wood, making the break down process similar to what happens naturally when tree limbs fall into water. They used non-toxic paint that does not contain Tributyltin (TBT) and sealed the print using a UV process, not solvents. The cards have an estimated water-floating life of about three to six months, depending on sea conditions and interactions with sand and rocks. Instructions on the drift cards are in English and Spanish. The Gulf Integrated Spill Research (GISR) consortium is using the cards as part of a larger research effort to understand how wind and currents move items on surface waters. Using field and laboratory experiments, scientists with GISR are working to improve prediction models in the event of another oil spill. Dr. Piers Chapman at the Texas A&M University (TAMU) leads the GISR consortium that consists of ten research institutions across six U.S. states and Britain. 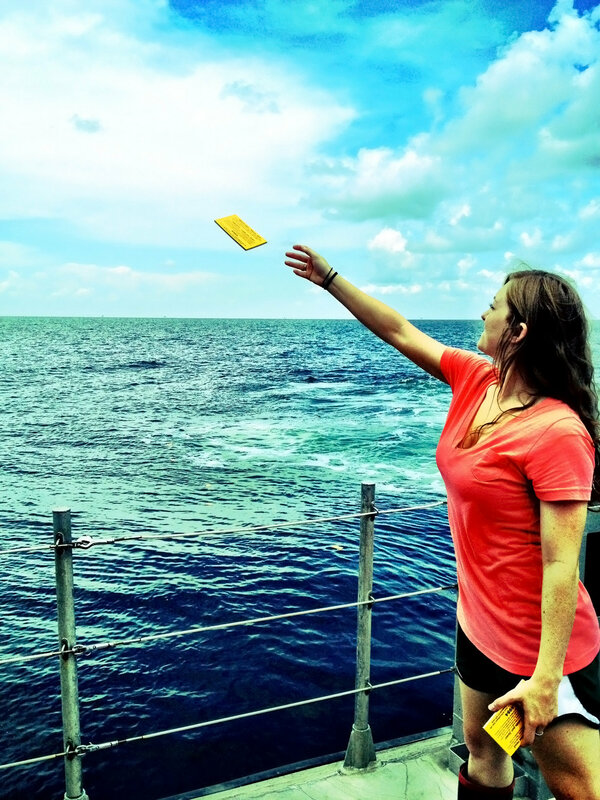 Volunteer researchers will release 5,000 drift cards from vessels located across the Gulf. The deployment and recovery data from the drift cards will go into a particle tracking model – the Larval TRANSport Lagrangian model (LTRANS). Lagrangian models help scientists understand the many factors which influence the hidden pathways along which air and water flow. Elizabeth North at the University of Maryland runs the LTRANS code working to develop more realistic particle tracking capabilities. Other GISR project scientists are working to develop a nested wellhead-to-beach Gulf circulation model against which the drift card data will be compared. In addition, Drs. Rob Hetland and Kristen Thyng (TAMU) have developed a web-based particle tracking tool that will aid such comparisons. The first 1,250 drift cards released elicited more than 200 responses. In previous drift card studies he was involved with, Chapman reported a two percent response rate. If reporting continues at current levels, the response may climb to twenty percent. This increased rate is likely due to a combination of the encapsulating nature of the Gulf’s coastline (as compared to previous open ocean drift card releases) and high public and media interest in the Gulf oil spill. The first card was found by Rebecca in Pensacola Beach, FL. That same day another was recovered by David in Alabama. These reports came only four days after the first set of cards had been deployed! “Drift cards are deployed in groups of ten, so it is interesting to look at how they spread. Cards deployed within a few feet of each other can end up miles apart,” says Kuehl. 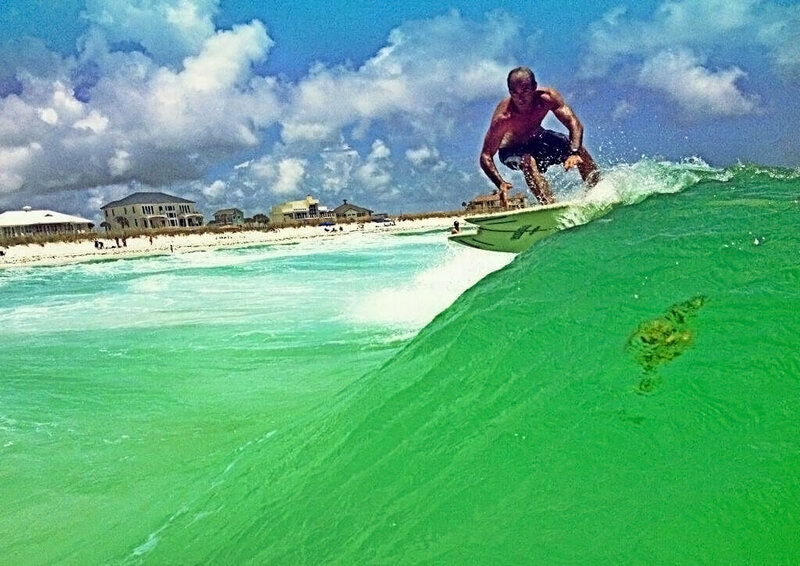 The Gulf of Mexico attracts many visitors in the summer, increasing opportunities for people from different places to find and report drift cards. 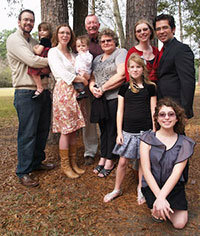 For example, Matt and his fiancé came to coastal Alabama to get married and found three cards in two days. Veli and her son from Finland were vacationing in Corpus Christi, TX, and found a card on a crowded beach. Alvaro, an educator, was leading a group of youngsters near the Texas Padre Island National Seashore when they found a card. Kelly, also a teacher, found her card at Crystal Beach and said she cannot wait to share the story with her students when school resumes. Kim and Mike found six cards while fishing off the Louisiana coast – the most cards found in a single day. And the prizes? Each month, the research team sends a $25 gift card to a person randomly-selected by a computer from names of people who report a card. Everyone who submits drift card information is eligible for the drawing. While the money is a nice incentive, helping scientists better understand Gulf currents makes this a win for everyone who lives, works, and plays along the Gulf of Mexico. The drift card program will continue until reports stops. The GISR consortium wishes to thank the many universities and research organizations who have voluntarily distributed the drift cards at sea and help make this program a success. For more information, go to the GISR website. Additional articles include Scientists Seek Public Help in Oil Spill Research. This research was made possible in part by a Grant from BP/The Gulf of Mexico Research Initiative (GoMRI) through the Gulf Integrated Spill Research (GISR) Consortium. The GoMRI is a 10-year, $500 million independent research program established by an agreement between BP and the Gulf of Mexico Alliance to study the effects of the Deepwater Horizon incident and the potential associated impact of this and similar incidents on the environment and public health. © Copyright 2010- 2017 Gulf of Mexico Research Initiative (GoMRI) – All Rights Reserved. Redistribution is encouraged with acknowledgement to the Gulf of Mexico Research Initiative (GoMRI). Please credit images and/or videos as done in each article. Questions? Contact web-content editor Nilde “Maggie” Dannreuther, Northern Gulf Institute, Mississippi State University (maggied@ngi.msstate.edu). QR Code Business Card Web design by Webmaster | © Copyright 2013 Gulf of Mexico Research Initiative (GoMRI) - All Rights Reserved. Copyright Gulf of Mexico Research Initiative. All Rights Reserved.